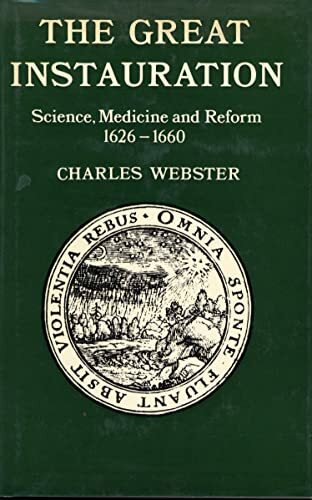 This study is concerned with the movement for the reform of science and medicine and with wider schemes for social reconstruction during the Puritan Revolution. It underlines the importance of the apocalyptic and millenarian traditions. The book describes in detail the advancement of new philosophies, also plans to reform education, health care and the economy. In this first reissue of an influential book originally published in 1975, the author provides an entirely new introduction containing a review of the large body of recent research relating to this topical and important subject. The Author: Since 1969 the author has held academic posts in Oxford. From 1972 to 1988 he was University Reader in the History of Medicine, Director of the Wellcome Unit for the History of Medicine, and a Fellow of Corpus Christi College. In 1982 he was elected a Fellow of the British Academy and since 1988 he has been a Senior Research Fellow at All Souls College. He has published extensively on social reform in the early modern period and on the modern welfare state.